From their unique formulation, to their compatibility with any air water syringe, Natures TipTM out perform the competition by providing complete and instant air/water separation. 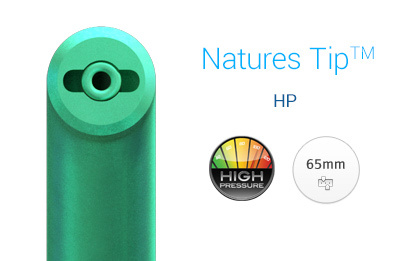 Natures TipTM provides two tip lengths to choose from: Original and HP. Below you will learn the key features that each style of air water syringe tip will provide. Natures TipTM Original is made with a unique 4 air channel design. These 4 air channels of the air water syringe tip generates a powerful air flow and when using in conjunction with dental water spray, creates a superior atomization. Natures TipTM HP is made with a unique 2 air channel design. These 2 air channels of the air water syringe tip creates a high pressure air flow for European style air water syringes and when used in conjunction with dental water spray, creates a superior atomization. Natures TipTM was created with a two-piece construction to ensure complete air/water separation. Just like a metal air water syringe tips, the air flows through the outer channels. Dental water spray is through the inner core, which seats into the air water syringe, thus providing complete and instant separation of air and water. Natures TipTM air channels generate a powerful air flow and when used in conjunction with water channel, create a superior air/water spray. Never again worry about clearing water out of the air water syringe tip's air channels before bonding and other procedures. Bevelled edges at both ends of Natures air water syringe tip ensures patient safety and also prevent excessive wear and tear on the O-Rings. If you use your air water syringe tips for retraction, you'll never have to be concerned about patient comfort, or accidentally cutting the inside of your patient's cheek. O-Ring notch secures air water syringe tips in air water syringe, which prevents accidental ejection and possible water contamination in the air channels. 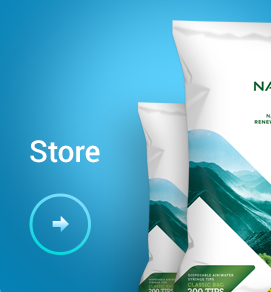 Natures TipTM is manufactured in the United States, using only a proprietary blend of certified compostable materials. These materials are non-petroleum based and are created from renewable sources. This assures the highest quality of materials are used to create Natures TipTM. 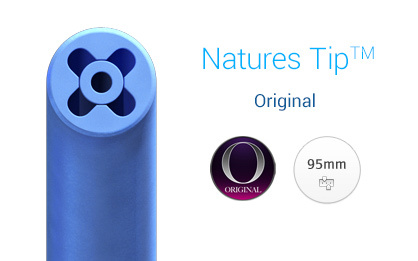 Natures TipTM is the new alternative air water syringe tip where clean meets green. Worldwide Compatibility - Conversion Kits Available!